CrowdStrike® recently recognized several of its valued customers as winners of the first CrowdStrike Customer Excellence Awards. They were announced on September 19 at the Fal.Con POWER UP 2018 cybersecurity conference in Miami Beach. CrowdStrike honored customers that are the trailblazers of our industry — ones that demonstrate both a deep commitment to next-generation approaches and innovations, and the foresight to implement top cybersecurity solutions. 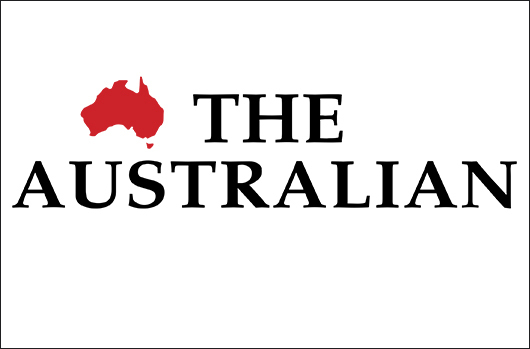 Recently, The Australian ran an article (reprinted below) about Telstra’s investment in artificial intelligence (AI) and machine learning and its strong partnership with CrowdStrike. It is a partnership that has reaped benefits for both parties, with CrowdStrike ensuring that Telstra’s large distributed organization is protected from today’s dangerous and determined cyber adversaries, and Telstra’s investment and relationship with CrowdStrike accelerating growth in the Australia and New Zealand regions — 250 percent year over year in 2018 so far. As the largest telco company in Australia, Telstra continues to be a huge influence in its home country and its commitment to cutting-edge cybersecurity serves as a beacon to organizations throughout the region. Telstra’s venture capital arm is looking to invest in artificial intelligence and machine learning as the telco works to beef up its portfolio of applications and services. Telstra Ventures boss Mark Sherman told The Australian that AI was at the heart of the new software-driven business environment and is an important space for Telstra to get involved in. “We have made investments in drones, Internet of Things and cyber security, so there’s a lot there to go after, but anything that touches AI and machine learning is very important to us because it feeds into almost everything,” he said. Telstra, which is in the middle of a significant business overhaul, is working to move beyond its legacy of providing core connectivity to becoming a company that also offers a host of services, from data management to cyber security to businesses. Chief executive Andy Penn, reiterated the point last week at its annual Vantage event, saying that combining top-notch network infrastructure with best-of-breed applications was crucial to Telstra’s future success. “The revenue that we generate from the application and services for our enterprise customers today is growing faster than the revenue we generate purely from the networks,” he said. “The two complement each other, so things like cloud computing, managed network and security offerings, all of these require us to build new capabilities and also change our mindset and culture. “A telco network used to be a physical network but is increasingly becoming a software-defined world,” Mr Penn added. Telstra Ventures, formed by Mr Penn’s predecessor David Thodey, plays a key role in helping reinforce the telco’s portfolio of services and has so far invested in more than 50 technology companies since 2011. While most of the early bets made by the unit have had marginal impact on Telstra’s overall business, the one notable exception is video-delivery platform Ooyala, which ended up wiping over $500 million off the telco’s books. However, Mr Sherman said the Ooyala bet wasn’t a complete loss for Telstra. Telstra Ventures’ foray into the cyber security space, most notably its recent investment in cyber security firm Crowdstrike, have also been worthwhile. US-based Crowdstrike, which came into limelight in 2016 for exposing Russian involvement in the US presidential elections, secured an investment from Telstra in 2017. Crowdstrike’s Asia Pacific region vice-president, Andrew Littleproud, said Telstra’s involvement had been a catalyst to regional growth, with the company posting 250 per cent growth (year on year) in new customer acquisitions in Australia and New Zealand in the first half of the 2018 financial year. “Telstra being a big user of our product becomes an important reference point for the business in the region, the size of its security operations mean that they are also giving us a lot of feedback, so it’s a really useful two-fold dynamic,” Mr Littleproud said. According to Mr Sherman, Crowdstrike is a perfect example of the sort of business the telco’s keen to get involved in. Download the white paper, CrowdStrike Falcon, Setting The New Standard in Endpoint Protection.